You are here: Home / Who Is Your Audience? 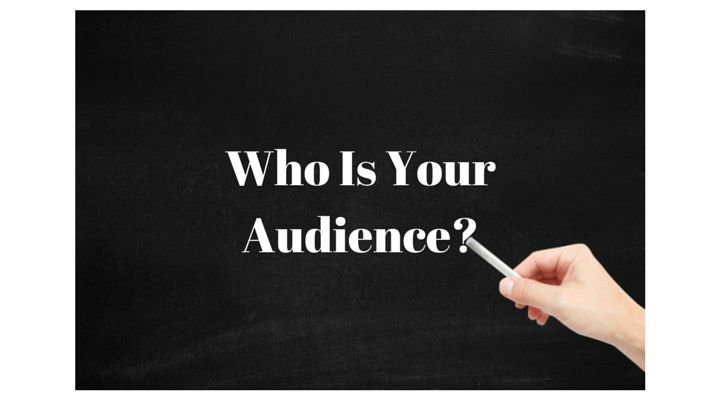 Do you know who your audience is and do you understand them? Are they your past and/or current customers, your competitor’s customers, regulatory entities, influencers and/or the public at large? Have you thought about what role online marketing plays in relationship to your audience? Often we think we know our audience, but this isn’t always the case. When was the last time you sat down and actually thought about your audience and the role online marketing plays as it relates to them? Being audience driven, is the key to being successful. Unless you’re a start-up, you can examine your past and present audience. You may have this information stored in your CRM and/or in a database. The more comprehensive the array of information you have concerning them the better. You should be cataloging what digital – social platforms they are using and how they are using them. What are the interests of your audience? What relationships do they have with other people, and are these relationships built on the same interests as your audience? Another technique for identifying your audience is by examining your competitor’s audience. During a competitive analysis collecting data of your competitor’s audience will be one of the tasks. This data can provide insights such as what content they find appealing, what relationships they have and much more. Depending on the size of your audience, most likely it can be broken down into segments. For example, past, present, and potential customers, those who have influence over your audience, such as influencers, brand advocates, and the degree of affinity they have for your brand. Internally you can segment your audience such as your internal workforce ranging from employees to the C-Suite. In addition, regulatory and media audiences that can have sway over your organization should be considered. How you reach them, what messages you present, and how you communicate will vary to some degree depending on your audience. This will allow you to fine tune advertising and content directed toward them and as well as facilitate greater engagement with them. What Are The Devices, Channels and Communication Preferences Of Your Audiences? Your audience can have a preference for device types such as mobile, tablet, or desktop. For example, mobile preference is growing at a staggering rate. But keep in mind whether your audience is using it and to what extent. In addition, multiple device usage must be considered. How will you make the user experience seamless as they move from device to device and how will you track that? As for channels, have you considered the ones they prefer and whether connecting with them on it would be appropriate? Just because your audience is using Facebook, doesn’t mean they want to connect with you on it. What communication preferences do they have? Are they more receptive to visual, textual communication, etc… It’s possible that your audience prefers a certain type of communication over another. Tip – One quick way to determine your audiences preferences when it comes to digital – social media is to observe the platforms / channels your competitors are using through competitive analysis. For example, are your competitors actively using Twitter, Facebook, GooglePlus, Pinterest, etc… to engage with their audience and what is the level of the engagement they are receiving? Note, this does not supersede conducting an audience analysis to determine the channels they are using and are receptive to interacting. How Are You Harnessing Your Audiences? Your audience can be a valuable asset that can be harnessed in various ways to meet your goals and objectives. For example, are you soliciting reviews from your audience who are satisfied with your product and/or service? Are you encouraging your audience to share your brand content so as to spread your message on your behalf? Do you have a plan in place for creating and supporting brand advocates whether internally or externally? Have you reached out to and leveraged those who are influencers with your audience? Your audience is your most critical asset. Knowing your audience is critical if you are going to be successful. Identifying and segmenting them, knowing their device and communication preferences will allow you to get your message across as well as harness them to propel you forward.